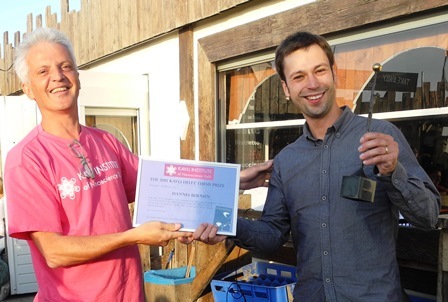 On Thursday September 10th, during the Kavli Day in Noordwijk, the biennial Kavli PhD thesis prize was awarded to Hannes Bernien for his thesis "Control, measurement and entanglement of remote quantum spin registers in diamond", which he defended in February 2014. For an impression of his research, see the video clip below, or click on this link to see team diamond's clip for the FOM Film challenge. Hannes is currently employed as a postdoc in Harvard (USA), for which he obtained a NWO Rubicon grant.